Tudor came into existence in the year 1926 when the founder of Rolex – Hans Wildorf – came upon the thought that he is going to offer rich in quality timepieces at a not too expensive price. Tudor has evolved and it became well accepted in the society which led the people to appreciate it. This meant that Tudor was on a path of success and that it was going to prosper even further.Tudor has its roots in Switzerland. What sets Tudor apart from its competitors is that they have given birth to a popular Tudor Heritage Collection. Ever since then, Tudor decided to develop a watch line which stands out from all else. It put in so much effort in developing this Tudor watch line that it decided to bring about a deficit in its whole catalog. 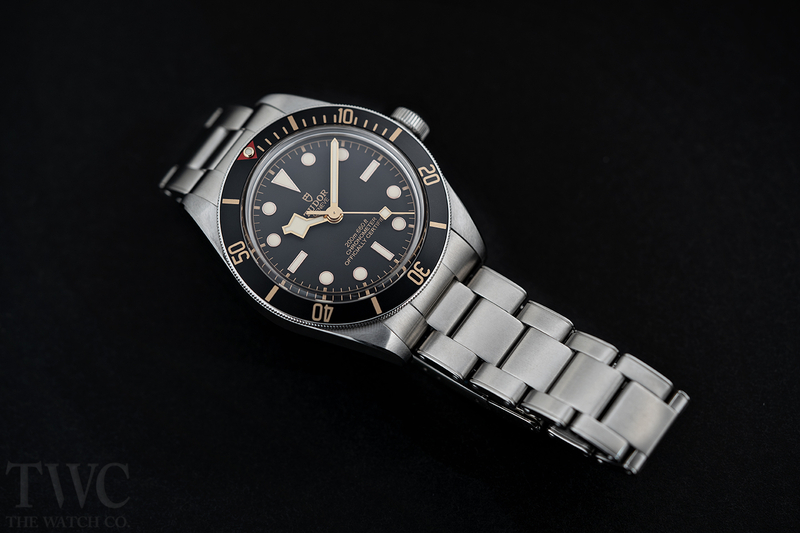 The Tudor sports watch line was known as the Tudor Black Bay line and it was so wonderfully created that it became one of the best modern watches in town and created a special place in the market. Let’s talk about the most prominent Tudor watches under this line. The first one that we would like you to draw your attention over would be the Tudor Black Bay 58. The aesthetics that this Tudor Black Bay 58 watch renders will dazzle the onlooker to the point that they would want to have the watch in their collection, immediately. The Tudor Black Bay 58 dial is 39mm and its thickness is 12.01 mm. You know when you look at this Tudor Black Bay watch, it just feels right. It feels like the swiss dive watch has been made for you and to match the attire you are donning. There are no abrupt expenses or anything that looks like it is out of place. Rather it feels very comfortable on the wrist. The band on the wrist feels wonderful and matches perfectly with the dial. To say the least, this Tudor Black Bay 58 watch is perfect! Another notable family member of this Tudor Black Bay line is its Tudor Heritage Black Bay 79220R. This Tudor Black Bay red model has been inspired by the Submariner watches from the 1950s, 1960s, and 1970s. First introduced in the year 2012, the Heritage Black Bay caught everyone’s immediate attention. The watch’s design has been considered to have a strange mix of various vintage Tudor Submariner models. The Tudor 79220R features a stainless steel case and has a case size of 41 mm and of course, is water resistant up to 200m. 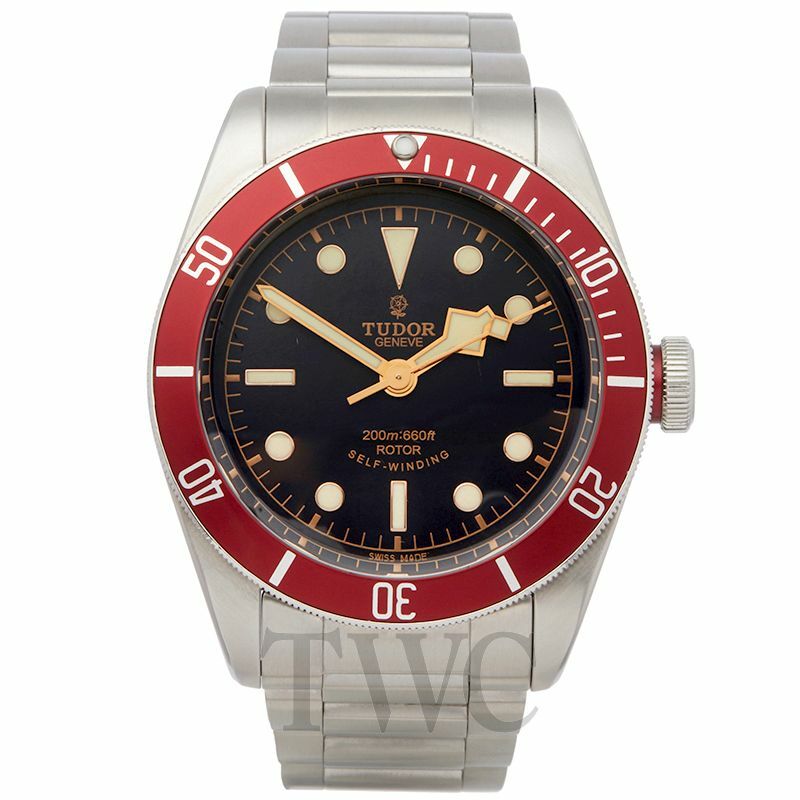 Unlike the other Tudor watches, this Tudor Black Bay red bezel watch does not come with a crown guard but its design element does have a relatively large crown which refers to the vintage Tudor Submariner ‘Big Crown’ models. Thus, it is a perfect combination of Tudor dive watches which has vintage looks and is equipped with modern specifications. 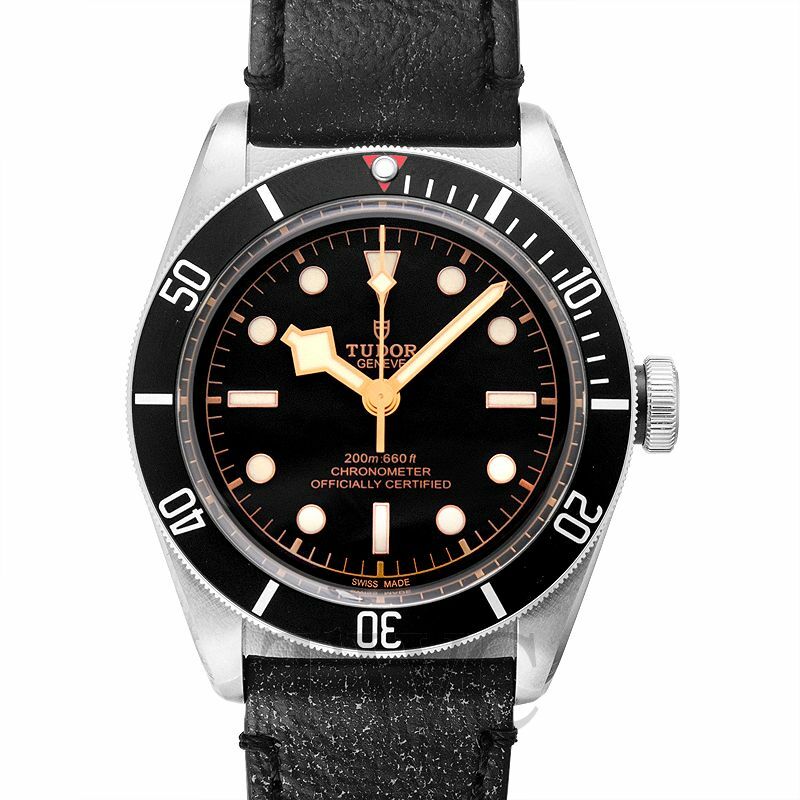 Continuing the Tudor Heritage Black Bay is its Tudor Black Bay Black 79230N. This Tudor Black Bay model in itself is a style statement and what makes it all the more iconic is that its aesthetics are wonderful and the price range it hails from is affordable. Its brother in the burgundy and blue-bezel shades stand nowhere near it. The new Tudor black bezel is a catch and one thing that makes it all the more noticeable is that it has a red triangle on the 12 o clock position, thus, making for a wonderful contrast. The Tudor Black Bay Black 79230N is equipped with a case that is designed with a kind of crisp lines and has sharp edges and high-quality finishing. The Tudor Black Bay is a medium-sized sports watch that measures of 41 x 50 x 14.8mm stainless steel case. This Tudor 79230N watch sits perfectly on the watch and gives you an ideal semi-formal look. One of the brand new invention by Tudor is their Black Bay 79830RB. In the 2018 Baselworld, Tudor finally added the Black Bay GMT model to their product line-up and filled the void for the watch lovers. The Tudor Black Bay GMT watch came out with the 41mm platform. 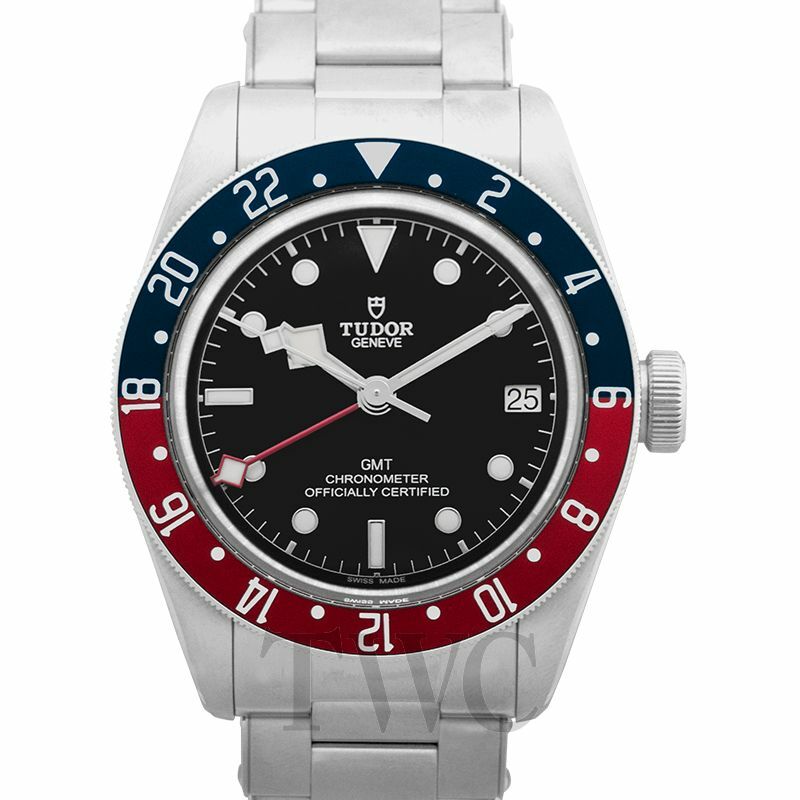 The Tudor GMT watch brings the buyers a new level of approachability when shopping for the strongly desired “Pepsi” design. Since the introduction of this Tudor GMT Pepsi, the collection of Tudor Black Bay has been proven to be amongst the most worthy and accessible options for the people who are looking for a high-quality Swiss made watch at a reasonable price. Now the Black Bay GMT watches are divided into two types: Independent 24 hour and Local jumping hour. The Independent 24 hour is owned by ETA and their universal 2893-2 movement and makes use of an independent 24-hour hand that helps in tracking the timezone using the 24-hour scale or bezel. They are ideal for tracking the other time zones just sitting at home. Whereas, the Local Jumping Hour is considered to be more complicated yet offers more flexibility for actual travel. Together with the 24-hour hand, it has the ability to jump the main (i.e your local timing) hour hand in one-hour increments in one or the other direction to update to a new time zone. Now coming to its specifications, the case of the Tudor GMT is made of stainless steel and measures about 41mm wide and 15mm thick. The Tudor GMT watch is 200m water resistance and its dial is a matte black accompanied by a largely applied marker, a readable and Snowflake-heavy handset, and a balanced use of text. Usually, we come across watches which are to weigh too much on our pocket. Yet being the die-hard fans of watches that we are, we end up buying them. However, when we do decide to buy a watch that is towards the lower end of the price range, we end up with some trade-off in the wonderment of the watch. But the Black Bay price remains an exception because Tudor has struck a balance between the charm that the watch renders and its price range. 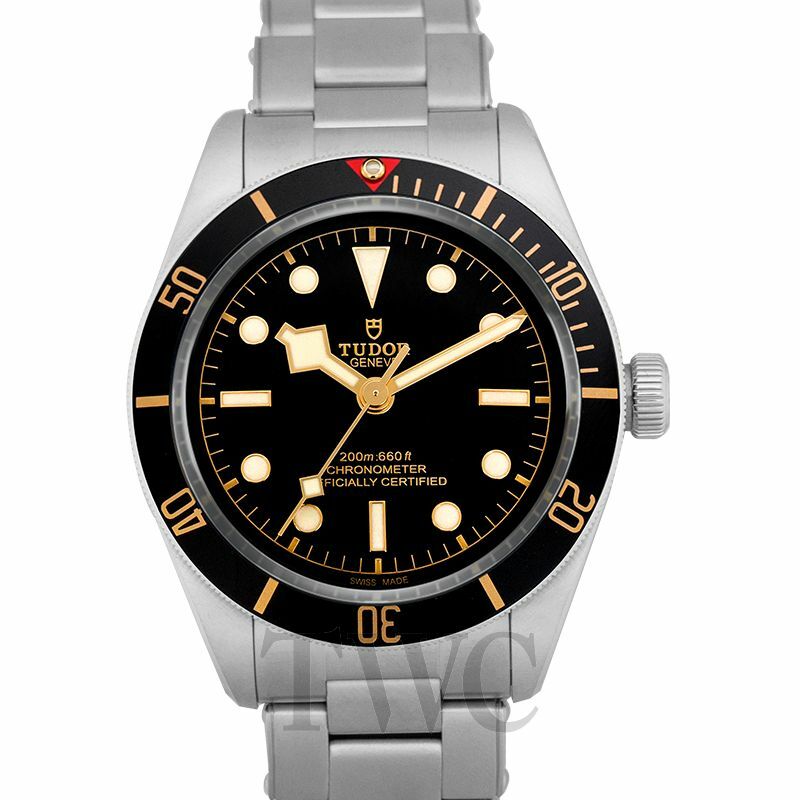 Thus go ahead and add these Tudor Black Bay watches to your watch collection.